Wargaming is bringing the luck of the Irish to players in World of Tanks on PlayStation 4, Xbox One and Xbox 360 with a series of new events, content and special missions to celebrate St Patricks Day and the March Madness college basketball tournaments in America. World of Tanks players can look forward to a special, in-game initiative to mark Irelands national day, St Patricks day. 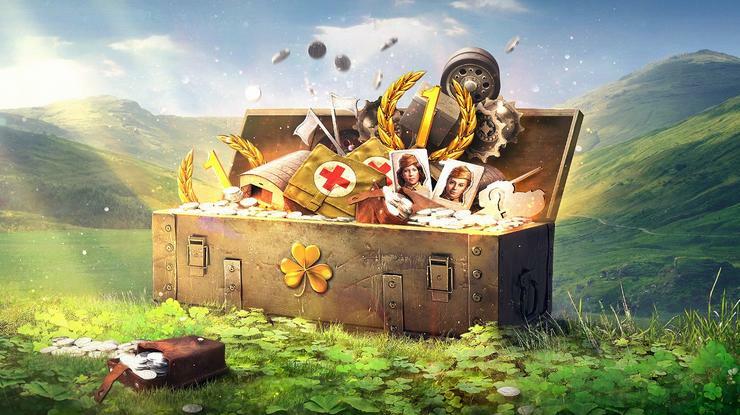 The Luck of the Irish Op offers the chance for commanders to earn free War Chests, packed with a random selection of treasure and goodies, for every ten victories they secure in battle. The Op will be running from March 16th to March 18th. World of Tanks’ latest Premium Hero also comes from the Emerald Isle. Available until April 2nd, the Banshee Comet is an Irish soldier that puts an interesting and unique spin on a true fan favourite. Taking its name from a mythological creature from Irish folklore, the Banshee Comet combines incredible mobility, devastating impact and pinpoint precision. Early adopters can benefit from an exclusive Op included with all Banshee Comet bundles, which gives a 25% boost to Crew XP earrings to every tank while active. In the competitive scene, commanders are now in the midst of the epic Tank Madness tournament, a single elimination, team-based competition which pits eight nations against each other every weekend throughout March. Players can join the fray every weekend for the chance to earn Silver, Premium time, and access to special Ops. For commanders who can’t get enough of Tank Madness, a special competition awaits at the end of the month. From March 30th through to April 1st, the Final IV Tournament pits the victors from each bracket in March against each other, Commanders who back the winning team can look forward to flying the flag for that nation, with a Hero Flag tank available as the ultimate prize. A duo of mighty Chinese vehicles joins the Store later this month, with the WZ-120-1G FT and WZ-111 set to take the battlefield by storm from March 20. The WZ-120-1G FT boasts high speed and heavy armour, giving it the advantage from the perspectives of agility and defensiveness in battle, The WZ-111 joins it as a fast and furious heavyweight, rocking an almighty weapon that’s primed for maximum damage in the thick of battle. These tanks are available together in a Mega bundle, or separately in Ultimate, Loaded and Base bundles, and will be waging war until April 9.